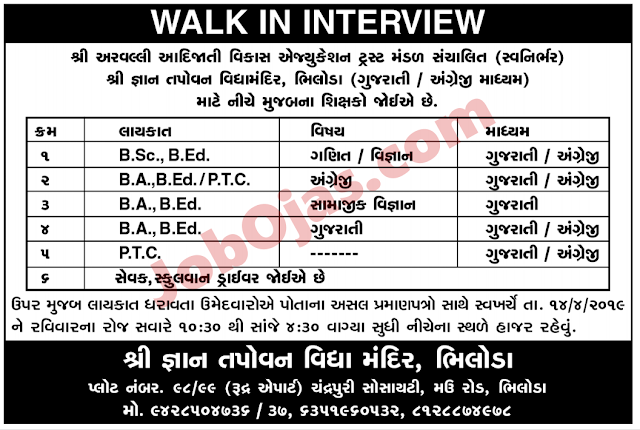 GVK EMRI Walk in Interview for Various Vacancy : GVK EMRI (Emergency Management & Research Institute) Recruitment 2018 Other Details like No.Of Posts, Educational Qualification, Age Limit, Selection Process, Application fee and How to Apply are given below. General Knowledge for all competitive Exam Must visit GujaratGk.com A mutual fund company is an investment company that receives money from investors for the sole purpose to invest in stocks, bonds, and other securities for the benefit of the investors. A mutual fund is the portfolio of stocks, bonds, or other securities that generate profits for the investor, or shareholder of the mutual fund. Venue : GVK Emergency Management Research Institute Gujarat, 108 Emergency Management Center, Naroda – Kathvada Raod, Naroda, Ahmedabad. 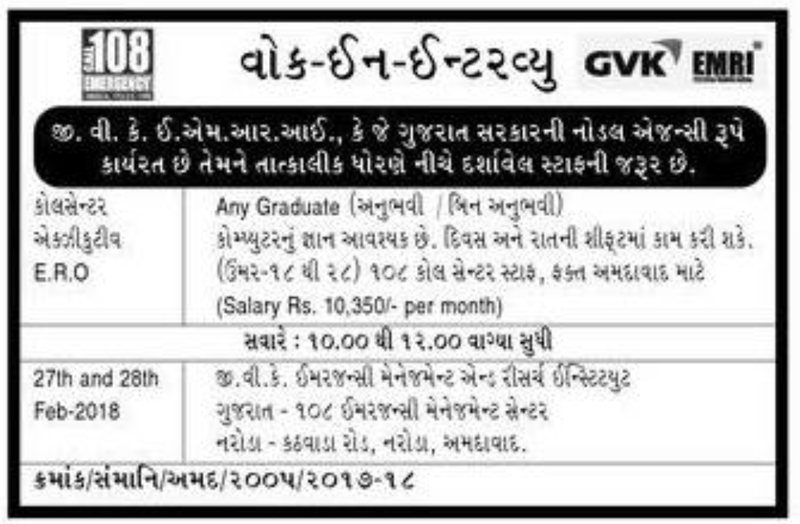 0 Response to "GVK EMRI 108 Recruitment for Call Center Executive E.R.O Posts 2018"